Spring has officially arrived! 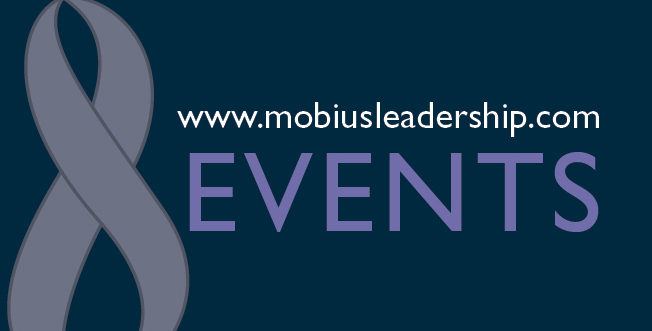 To celebrate this month we highlight remarkable leadership in the world, emerging organizational forms, and an inspired discussion of cutting edge healing work to address personal and collective trauma. The March “top three” selection of thought pieces in the field of transformational leadership and organizational change include: 1) a profound conversation between two of the world’s most advanced contributors to social change and systems healing – Mobius Senior Expert and MIT Senior Lecturer Otto Scharmer and dear Mobius friend and trauma expert, the mystical teacher Thomas Huebl; 2) a book excerpt from Mobius Friend and Next Practice Institute 2019 Faculty Stefano Petti on new organizational forms evolving to meet the complex requirements of our times, and 3) an article published this week in Forbes from Mobius Chief Thought Leader Erica Ariel Fox on the four pillars of leadership demonstrated by New Zealand’s Prime Minister in the wake of the tragic attacks on two mosques. We welcome you to read, watch, listen and share these wonderful pieces. For everyone planning on being with us this year at the Next Practice Institute, December 8-13, registration opens in a few days’ time. The Early Bird discount will be in place throughout April until mid-May. Stay tuned for the registration announcement via social media and in your inbox. Until then, wishing you an inspiring and peaceful transition into Springtime. What happens when our drive to evolve comes up against deep forms of resistance? What is the relationship between our drive to evolve, our individual and idiosyncratic habits – in ourselves and the institutions we create — and the trauma each of us carry – both individual and collective? How might we make sense of violence in the world? What are the implications of ever-advanced levels of technology? And the new reality of “surveillance capitalism”? 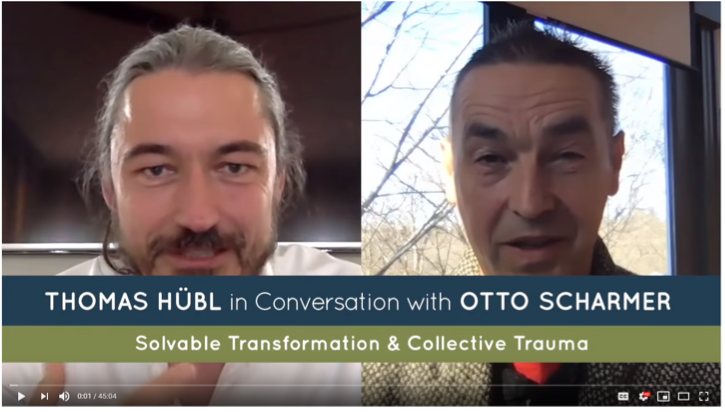 This is a profound and timely conversation between two of the world’s most advanced contributors in the field of transformational change. Many in the Mobius community have had the privilege to study with one or both these men in ways that inform and refine our client offerings. For those of us new to systems intelligence, social change and healing trauma, this is a wonderful introduction worth watching many times over. Click here for this 45-minute conversation. “In the last decade it has become increasingly obvious that we are under adaptive pressure: the solutions to the most common business issues are not to be found in the current capability of the organization. It’s time for a radical departure from the system we have today.” We are delighted to announce that Mobius Friend Stefano Petti will join a very special panel to discuss evolving organizational forms at this year’s Next Practice Institute. To learn more about AEquacy – a radical new system of distributed authority, read the book excerpt from Stefano and his co-author Mobius Friend Giovanna D’Alessio in the Mobius Strip. If you would prefer a print copy of the book excerpt, simply visit the Thought Leadership section of our website (here) where you can download the PDF. What does it take to lead an increasingly fractured, angry, and broken society? “We look to leaders when disaster strikes. Indeed, response to a crisis goes to the very root of leadership. New Zealand’s Prime Minister Jacinda Ardern demonstrates four pillars of leading in times of great need. Connection. Compassion. Clarification. 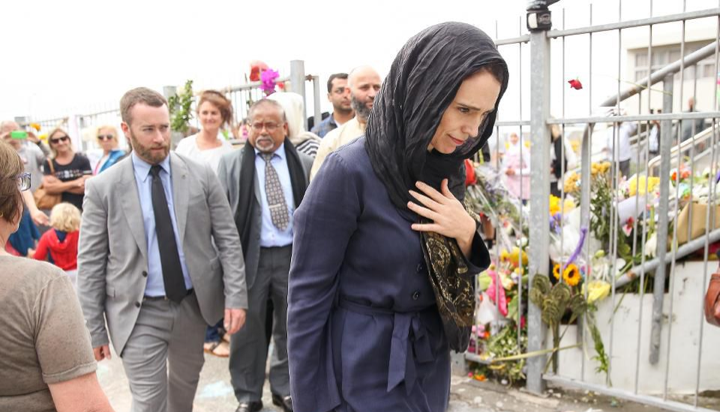 Conviction.” Mobius Chief Thought Leader, Erica Ariel Fox discusses Jacinda Ardern’s exemplary moves to help heal and shine the path forward after the recent violence in Christchurch. As leadership development practitioners we must bring to life and celebrate the qualities and acts of courage so essential to leading through such a complex time – Erica’s short article encapsulates the depth of humanity and skill in the wonderful example provided by Jacinda Ardern. The 2019 Next Practice Institute takes place outside of Boston December 8-13th. Registration for the event opens next week with an Early Bird Discount throughout April until mid-May.